For over fifteen years, Carolyn has practiced in state and federal courts, representing businesses and individuals in a variety of practice areas, including insurance defense, professional liability, property insurance, premises liability, and commercial auto. She handles complex insurance coverage issues, guiding and advising insurers on the best and most efficient course of action. Carolyn graduated from St. Louis University School of Law. Upon graduation, she worked nine years at a large insurance defense firm where she gained extensive knowledge and experience in all aspects of litigation, bringing claims to a successful conclusion through dispositive motions, mediation, and trial. She then spent five years at a small, boutique law firm representing clients in complex business and commercial litigation. 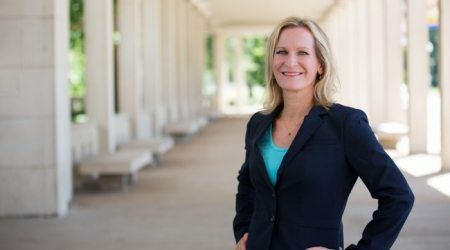 Since joining the St. Louis office of Galloway, Johnson, Tompkins, Burr & Smith, Carolyn’s practice primarily focuses on defending premises liability and auto accident cases, analyzing insurance coverage issues, and subrogation. During her free time, Carolyn enjoys watching the Blues and Cardinals, practicing yoga, cooking, traveling and spending time with her family and friends.